I’ve been planning for Grand Prix San Jose for about two months. I have registered for the main event, I have arranged for a place to crash, I have made sure that the kids will be okay while I’m off drowning in Magic cards and events for a whole weekend. There are some concrete, direct things you should do as part of the big event experience, and I’m here to share a few tips and tricks for what will make the event best for you. I’ve got a box of cards that I’m going to buylist, mostly commons and uncommons from a collection I bought in December. Guy came into the shop with two boxes of loose cards asking $20, I snap bought, and got to work picking. (Luckily, I was in the midst of writing up older sets’ pickable commons and uncommons in my PucaPicks series on Thursdays, available to Protraders, so picking was quick for me.) 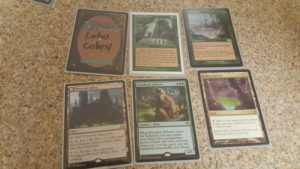 I’ve also got a bunch of Commander 2011 cards that I’m ready to sell, and when I get to the event I’ll know if I want cash from a vendor or store credit, depending on what they have at what prices. I’ve found that when bringing a lot of things to sell, I want to do that early in the weekend, when vendors have more cash and more time. I’ll have it sorted, unsleeved, and ready to work quickly. This isn’t #mtgblueprint stuff, just a general note about when to sell large amounts of cards. Individual cards are different, and can be sold whenever. I’d sure be cashing out on Walking Ballista ASAP though. I’m going to bring one, maybe two Commander decks, and one trade binder, and some sleeves for the main event. That’s it. I want to make sure that my bag isn’t overly full, and while I’d love to play a lot of Commander or Cube, there just won’t be time. #3: Plan on the unique side events. Selling a stack of cards is going to empower silly things for me, like Full-Box Sealed, an event which I was at first dismissive of but I have to admit that it sounds more and more awesome. Ridiculously overpowered Sealed, with the possibility of adding value to opening a single box? Sign me up. 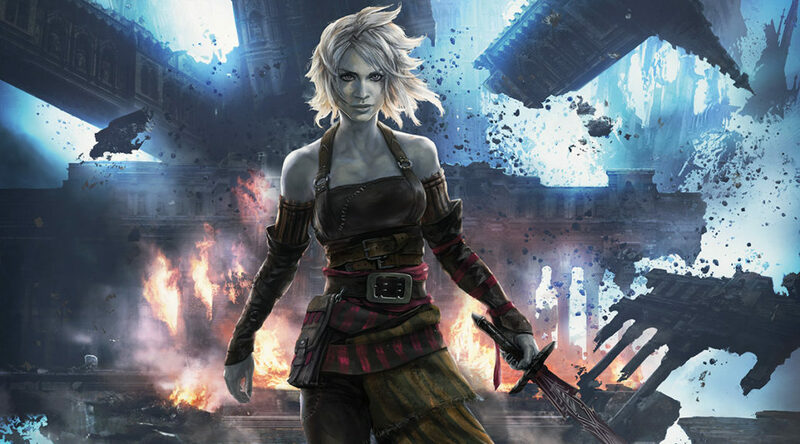 Chaos drafts are appealing, or double-prize queues, Frontier events, or single-match drafts…the list goes on. Look at the event website and figure stuff out ahead of time. I can Cube or Commander at other times, but this event has some stuff I can’t do at other times, and that’s the experience I want to maximize. #4: Socialize as much or as little as you wish. This one took me a while to figure out, because I didn’t notice what I was doing. If you can play events with friends, that’s really great and something you should do. Mainly, though, you should absolutely not take any time away from stuff you want to do in order to wait for someone, especially when dealing with food or breaks. #5: Bring water, and pack food whenever possible. Self-explanatory. Packing a sandwich and chips is pure value, both in terms of the money not spent at lunch and the time that is saved at the venue. Save your budget for breakfast, dinner, or cards instead. #6: Sell your playmat, and don’t pick up extra life pads. If I can get $5 or $10 for the mat at the event, I’ll usually take it. I realize that there’s the potential to make a few dollars more if I wait and eBay it, but unless the playmat is something special (truly awesome card, or double-sided, etc.) it’s not worth the hassle of storing the mat and carrying it around. I do the same thing with leftover cards. 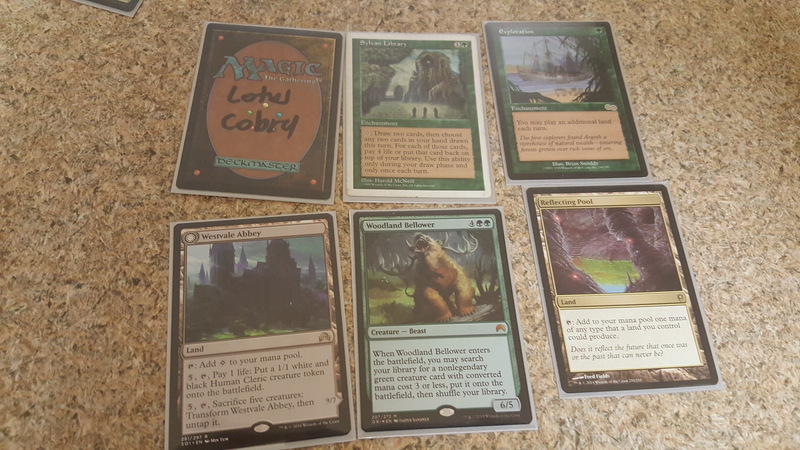 I keep rares and some uncommons, the commons I’ll leave for someone else that has the time, energy, and space to pack 5k boxes full of bulk commons. It’s just not worth it to me. Big events can be stressful, but they can be a lot of fun. 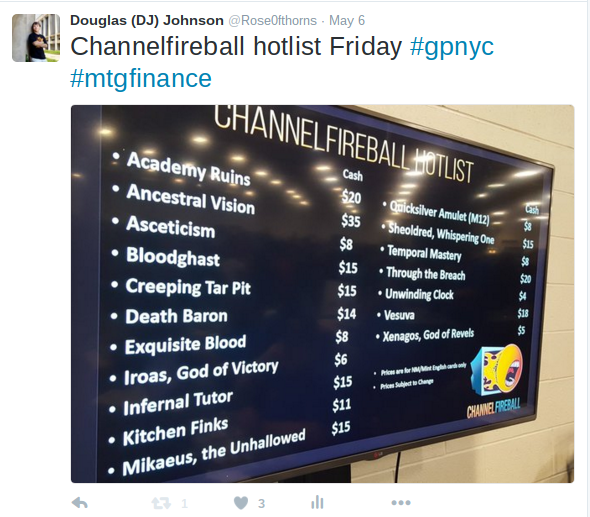 If you are heading to the GP, use the hashtags and see who else pops up! Let me say hello! How long has it been? Has it been that long? Huh. You don’t say? 18 months? Maybe even two years? Well, fantastic. Just enough time to make it worth while to start all over. Now, shall we begin? For those that know me – or have an idea – let me say hello. I am back, to bring you my varying degrees of insight, easy going banter, and strong belief that you have what it takes to make the most out of what you have. Not terribly long ago, I would bring you my thoughts on Magic based Finance. After much relocation, settling in the bright city of Dallas, Texas and a return to traveling the US (& eventually the world) for Magic – I have returned to having my hand on the wrist of Trading. 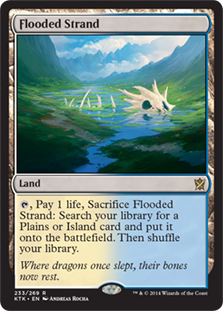 The fine folks here at MTGPrice have decided that you should hear me. Let’s not waste that with pomp and circumstance. This week, I will bring you what insight, thoughts, experience, & ideas I have to give you the best tools to prepare yourself for your next Grand Prix Vendor experience. Approaching a vendor booth is a key component of any Grand Prix. To make the travel, the cost, and the excitement all fit in with your budget, means, and obligations – it is best to occasionally liquidate cards, locate much coveted new beauties, or fill in that last gap for your 75. The fastest way to do that will always be with a vendor. I, myself, am a Floor Trader. I pride myself on turning cards you do not need into cards you do. But a booth is a completely different & exciting animal compared to any trade. They have paid for the right and the power to give you not only exactly what you need – but the choice of how you need it. It also can be very intimidating. Why? Because you have no idea where to start. There’s numbers everywhere. Pretties to distract you. Amazing cards you may have never seen to lure you away. And even more – there’s always the fear you’re paying too much and getting too little. This weekend was Grand Prix: Columbus. Uniquely situated between the Midwest and the Northeast, the GP itself drew a lot of the best talent in the Vendor world. This weekend I primarily dealt with three vendors. Adem Hotza @Hotsauce. 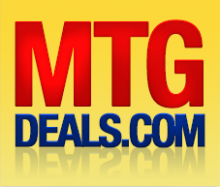 Jeremy Muir @SavageTCG and Paul Morelli @MTGCardMarket. Surprisingly, most of the published buylists from the variety of booths were all roughly the same. As I get back in the swing of things – in the future, I’ll have a more in depth analysis of where best to spend your money, or get the most out of your cards. This week, I want to talk first about a couple of key points of what your Vendor relationship needs to be. While there are some unwritten rules, mostly it just hasn’t been thought to be said out loud. As a financier, or someone simply interested in getting the most out of your cards – these points can vastly change your approach to the weekend and how you cash out or trade up. As well as your preparation going in. 1) Online or in person. 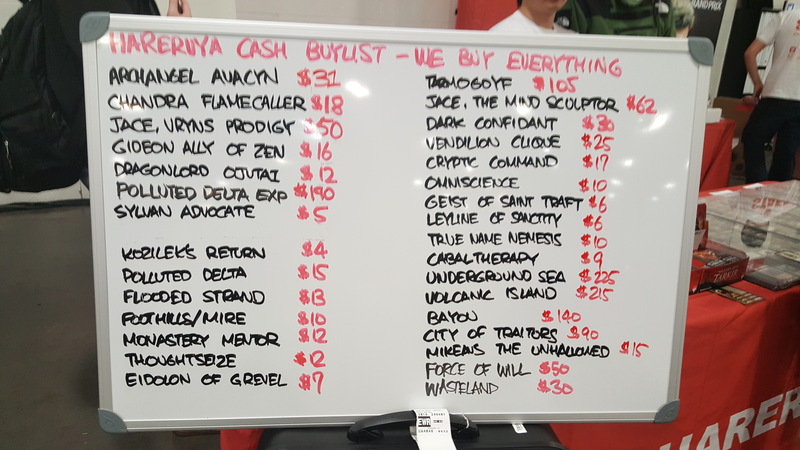 While dealing with SavageTCG, the discussion went down the progression of “How has business been.” Every booth has different needs and usually that is going to be reflected greatly in their buylist. When business is good – buylists tend to stay even keel around the room. When it’s volatile is when you will see the differences. Another way to maximize your Grand Prix, then, is to first bring needs. As with anyone – as the Owner of SavageTCG – Jeremy loves card that will sell quickly or be gone that very weekend. When in person, it’s very easy and quick to let the vendor cherry pick your collection. While this may not solve your instant needs – getting the ball rolling for yourself and then later matching a smaller list to the greater collective of “Who has the higher buylists” can net you the greatest balance of time spent vs. making your dollar go farthest. This was my first stop of the weekend and that was my intention. 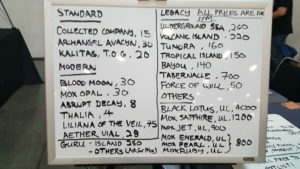 Clearing out a long list of highly needed middle to low range but high demand Legacy/Modern playable Commons/Uncommons. With my organized list now shorter, and one 1,000 count box much lighter, the following day would be my next stop of the weekend. At my stop with Adem Hotza, owner of Hotsauce Games a very interesting point came up. I was there to acquire a NM/LP+ Moat for a trade. 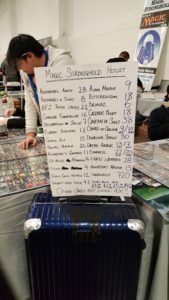 A young gentleman made it a point to acquire one that weekend – and I love sourcing cards for players that will actually love the cards they play. I had already done a lot of trading on the floor, thus some of my bulk was going to be included in acquiring this for him. Hotsauce had a gorgeous Moat at a great price and we got, again, talking about business. Something that never had occurred to me is the practice of the Bulk traders using the Vendor booths as the manual labor to pick their $.25s & $.50s from the $.10s. Frankly – us as a collective can do better. 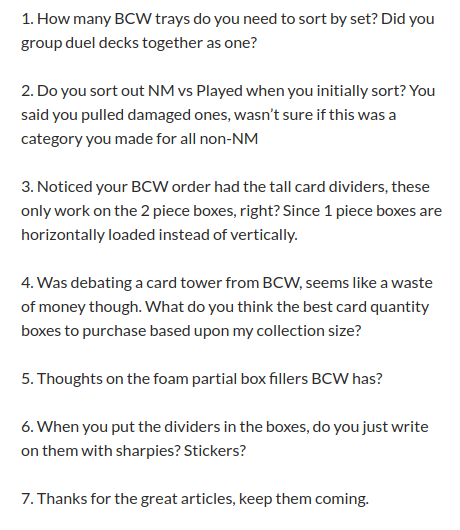 The Grand Prix floor should not be the time you sort those cards out from each other if you are about maximizing your buylisting. Definitely not when you’re dealing with a Vendor. If you’re not worried about the quarters from the dimes, do everyone a favor – just hand a stack and expect to have the whole thing priced as one “unit.” All dimes or all quarters, etc. If you are worried about it – then take it home. Compare buylists online. Send them in properly sorted or wait until the next event, after you’ve had time to seperate into appropriate piles. The week leading up to or the time before going to a booth really should be about maximizing your profit. On the floor is about maximizing your time – and theirs. Yes. It’s a made up complete butchering of beneficial. My last stop of the weekend was with MTGCardmarket. Paul & I haven’t had many occasions to deal with each other, but I have with Cameron. Most Vendors LOVE $5-$10 retail price cards all day long. For us, they can do wonderful things like trade into bigger items and net a consistent build up, but even better is the cash power to buy those large collections. Any time you can get past a certain dollar amount that others are just not able to deal with, you gain power. The people that can and do buy $3,000 collections weekly are few and far between. You want to be one of those people. And they will always nets you more than $5 bills will. Cashing those out will get you larger transactions, more flips, and better outlets for your cards. However you do it – the best thing you can do is give any Vendor the best balance struck of what they need versus what you can leverage. This generates a mutual benefit and gives you the priority over even the most alluring offers. While talking with Paul – he paid me a great compliment. He wanted my cards over another sell that was trying to come in. A fully foiled out Legacy deck. 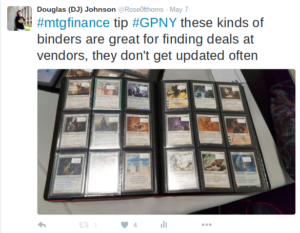 What you may not know – most Vendors do many Grand Prixs back to back to back. Some times – four shows in – cash flow can be a little hard to come by. Not just a difference between Friday & Sunday, but a complete paradigm shift from what the would normally buy and the much leaner “focusing on needs.” If you want to give yourself the edge – and also make sure what you are liquidating will always be bought – don’t just bring corner case expensive cards that, while having great upside, will sit in their display cases for weeks. It’s not making it someone else’s problem to deal with. It’s bringing them items they just can not buy. Bringing the things that will sell day in and day out can and will bump you to the top of any shortlist a Vendor loves to deal with. In closing – these three points can really improve your selling experience with Vendors. Each Grand Prix isn’t just about who’s buylist is best. Often – if your relationship is built with a Vendor – not only could you received priority treatment but getting the inside track can easily make you the person everyone wants to deal with. In the future – I will be modulating my Grand Prix reports to bring you a mixture of insight, cool deals, price points to pay attention to, and items of note on buylists. This decision to bring me back on board was made late in the game, so this week’s report is focused on highlighting the points that made the most difference this weekend. With the Grand Prix in the rear view – these deals I made with these particular Vendors absolutely raised my Grand Prix from “Well played” to “I still had all deeze.” Incorporating a wonderful Vendor or LGS relationship into your Finance game is a key cog in the cycle of buy/trade/sell. I plan on showing the way to make this one you can maximize for yourself, if you choose. Trading and Finance is not just about maximizing one card and riding it to the finish line. It is also about bettering the experience of the players you trade with. It’s about providing the cards the stores need to keep providing playing & trading space. It’s about getting you into the right situation and raising the tide. After all, the tide raises ALL ships. If you have not realized that – take a closer look at what you are doing. It really is that simple. You can follow me on Twitter @dylan_beck or @Dylan Beckham on Facebook. Hey there! I have returned from Grand Prix New York, and it felt good to say hello to some faces that I haven’t seen since Vegas. Even if you don’t plan on playing in the main event (especially if you don’t plan on playing in the main event), I really can’t recommend Grands Prix enough as your foray into the next level of Magic. There’s just so much to do, no matter what your format. I’m going to delve into my experiences at the event, but first I want to preview what next week’s article is going to be based on a question I got on my previous piece. If you were really enjoying my Blueprint article last week, then I recommend sticking around for next Thursday when we dive into the above questions and more. While I may not know or care what Standard cards are going to spike, bulk is a niche I can write about. I could have gone into a lot more detail about the sorting process, but we’ll touch on that next week. Until then, let’s do a brief overview of some tips for buying and selling at Grands Prix, because I know I’ve gotten a non-zero number of requests about that and it’s still fresh in my mind. So let’s start from a pretty basic level. What’s a hotlist? If you follow me on Twitter and hastily scrolled past all my tweets from this past weekend, you probably have the word “hotlist” embedded in your mind. 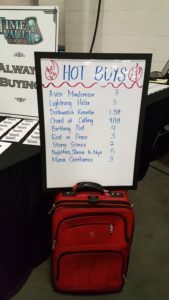 Contrary to what I hope isn’t popular believe, vendors at the event want more than what’s on their hotlist. That whiteboard, chalkboard, or fancy digital screen that they have posted is just to get their foot in the door, and show you the cards that they’re really aggressively buying. A quick skim of the list can usually give you a solid idea of what format that vendor is most interested in, and if a large number of vendors have similar cards on their hotlist then you can use that as a decent indicator for what will be hot over the course of the weekend. 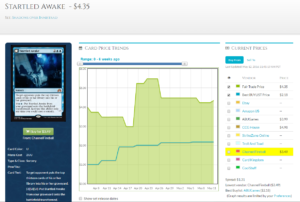 Based on the above pictures, we can make some rational predictions for the cards we want to sell to different vendors. 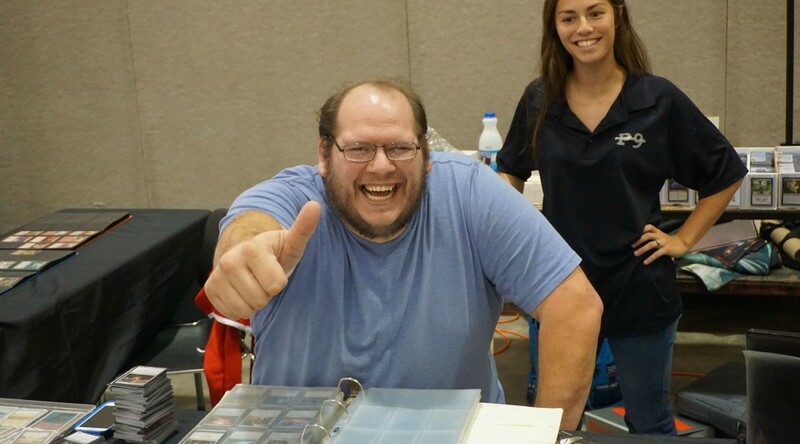 We don’t want to waste too much time selling our cards to seventeen different booths and waiting in line for hours, because we value our time at this event relatively highly. 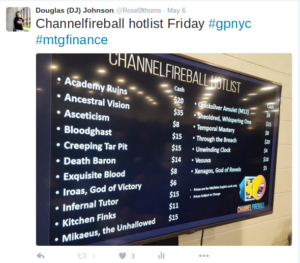 It looks like Channelfireball was really going hard on casual cards, paying damn close to retail on cards like Xenagos, God of Revels, Exquisite Blood, and Death Baron. We see multiple vendors paying $4 on Birthing Pod, which is curious considering how illegal that card is in Modern. Hareruya was at their usual top-tier of competitive staple buy prices, but they don’t really care about EDH or casual cards. If you’re planning on attending these events and you don’t want to wait for people like me to snap pictures on Friday or Saturday, you can certainly email or message the stores beforehand to try to get an early hotlist. This gives you time to prepare and do your homework, so you can bring cards in hand with predetermined buyers on site. 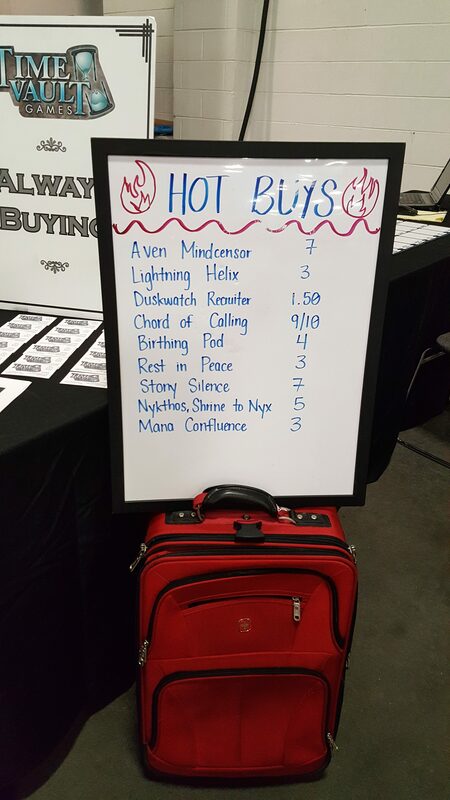 Print out that hotlist (or grab a copy of the vendors’ buylist from the table), and you’ll be much more efficient at this than 90% of the people in the room. Adding to that, I’m going to repeat something I’ve mentioned before, just because its’ important. Those who plan on selling cards at those sweet hotlist prices should absolutely try to get into the convention center as early as possible on Friday, because the vendor prices will go down as they accumulate more of the cards that they’re paying aggressive numbers on. 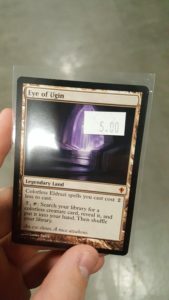 I got to the convention center at around 2pm on Friday, and even then I probably missed out on some good deals in the vendor cases. So what kind of deals was I looking for personally? Well, other than finding some cards at buylist prices that we’ll get to later on in the article, I was on a mission to complete the foils in my Child of Alara deck. 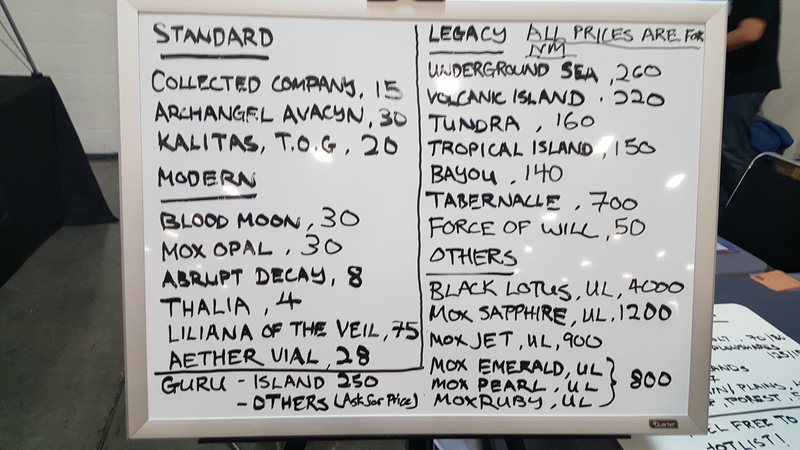 I needed an Expedition Stomping Ground, Breeding Pool, and the cards in the picture below (The proxy is Lotus Cobra, for those who understandably choose not to read my penmanship). I also refused to pay more than the cheapest available copy on TCGplayer/eBay, as you should too. 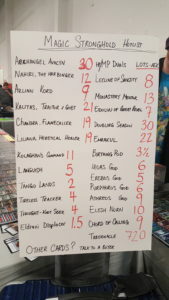 Again, we go back to doing our homework; if you write down the prices you’re willing to pay for cards that you’re specifically trying to hunt down at the event, you won’t have to waste data on your phone looking it up in the display case. I knew I wasn’t going to pay more than 65 for the Breeding Pool, 30 for the Exploration, and 20 on the Reflecting Pool. Success! 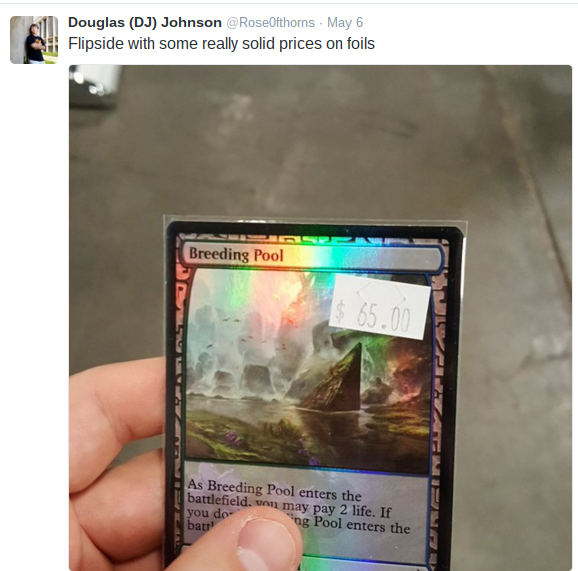 I’m still looking for a Reflecting Pool (The cheapest one on site was 23, and there’s one on TCGplayer for 20 right now. I can wait. ), but I put a solid dent in the rest of the cards on my list. I’m also looking for a replacement for Westvale Abbey, as that card did not perform well enough in testing to continue sitting in the deck. I didn’t only go to the GP to pick up cards that I was actually going to play with, though. 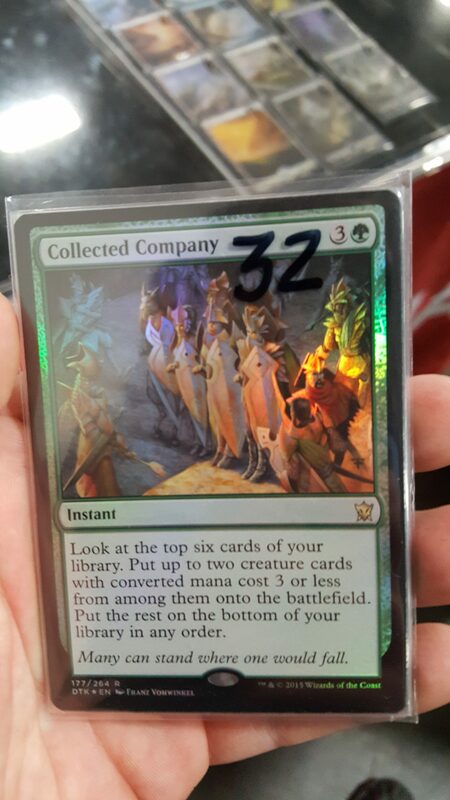 I also wanted to find some sick deals on cards that i would be able to flip later on, and NM foil Collected Company for 32 at Hareruya seemed like a good place to start. The cheapest copies on TCGplayer right now are $40, so I shouldn’t have too difficult of a time moving these for $37-38 to the right buyer. I found those CoCos in the display case, but most of the time deals like that will be snatched up very early on in the weekend by other grinders or passerby who happen to notice that a card is underpriced. 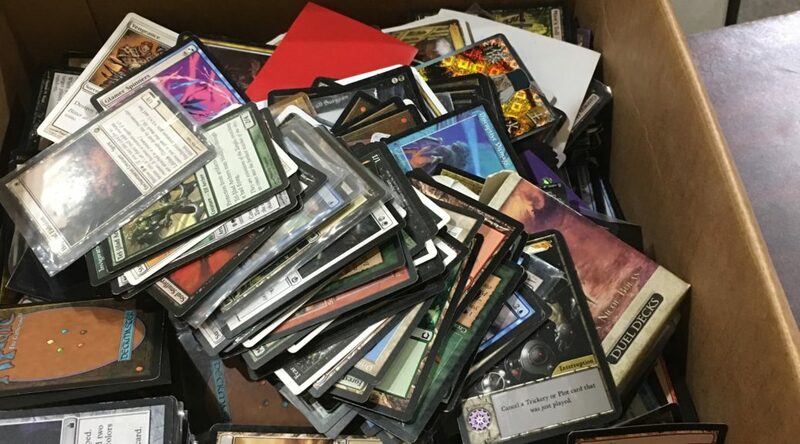 The real treasures are in the low-end binders, full of EDH and casual garbage that the vendors don’t really care too much about. If you spend a few minutes looking through these binders, you’ll probably find some cards that jumped in price a while ago, but nobody updated them. There were over 20 copies in the binder, but several of them were SP. Still though! Sometimes there will be a bunch of a card that just doesn’t sell very well anymore; Considering Tasigur, the Golden Fang isn’t played in Modern anymore, vendors were in no hurry to hold onto copies. I found twenty-something copies in a binder at $2 each! Banned in Modern, but still easily playable in Commander! 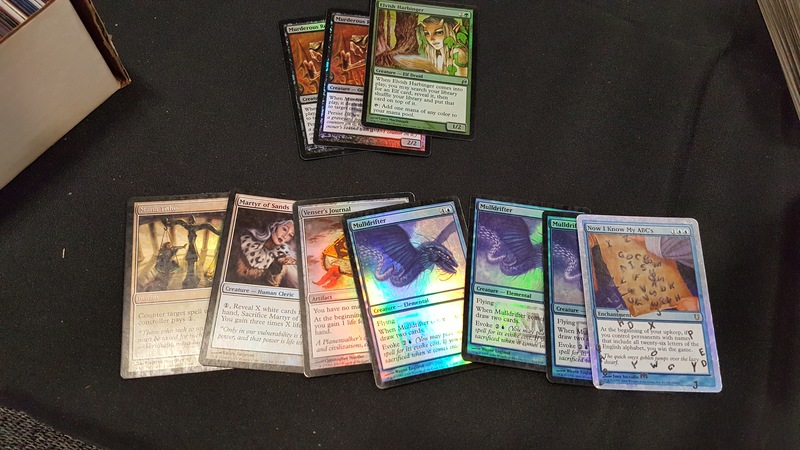 I paid $1.50 each for the top row, and $2.50 each for the bottom row; all foil! Finally, I want to touch a little bit on the whole prize ticket system. After playing in a 2HG Sealed event and going 2-1-1, my teammate and I each received 110 event tickets. The exchange rate is one Standard legal booster pack for 10 tickets, so we can approximately estimate the retail value of a 10 tickets to be $3-4. 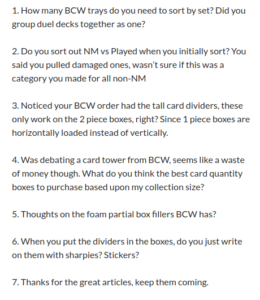 While my friend and I blew our prize tickets on SOI packs to practice and jam Sealed decks against each other, I want to let you in on a little tactic I wish I had used. Channelfireball had a lot of Standard legal singles in the display case that you could use prize tickets on, but one of the best values was the option to get Startled Awake for 10 tickets each. Now, you’re probably thinking: “But DJ why would I spend my hard earned tickets on a bulk mythic that no one cares about?” Well, I would tell you that Startled Awake had refused to drop down to bulk mythic status, and that you can still sell these things locally for $3 easy. That whole “double-sided mythic” aspect really takes a number on the supply, when you realize that there are approximately the same number of Startled Awakes in the world as there are Archangel Avacyn. I could have picked up eleven copies of Startled Awake, and sold them locally after coming home to the casual players on Facebook. Before we close for the week and begin our adventure to the world of bulk, I want to take a couple of paragraphs about Eternal Masters possibilities. I got into a discussion on Twitter a couple days ago about why I don’t expect to see Dredge in the set, considering they already tried it in Modern Masters 2013 and it really didn’t work in the Limited format. I think they’ll try to make reanimate a legitimate strategy, but through means like Faithless Looting effects and not Dredge. With these predictions, I’m really expecting Golgari Grave-Troll and Darkblast to have significant gains in the next few months. If we don’t see either reprinted in EM but we receive other support in the set (Cabal Therapy, and to a lesser degree Ichorid), I can see both Dredge spells jumping in price because of how easily accessible the deck is other than Lion’s Eye Diamond. On a similar note, I’m really expecting to see a tribal Elves theme in Eternal Masters. This set allows them to jam Glimpse of Nature and competitive elf friends while relieving some pressure from the casual Lorwyn elves. I’m expecting some combination of Elvish Harbinger, Nettle Sentinel, Wirewood Lodge, Imperious Perfect, and Jagged-Scar Archers to make the cut. I think they want to let you build “Legacy Elves” with a mix of casual and actual Legacy elves, and I don’t believe that Consiracy would let them build that kind of Limited environment.